"I have very fond memories of George and his wife Ollie." "While I was a pastor in Tyler, I had the pleasure to know..."
"I met George at a Tai Chi class a few years ago. He was..."
"I worked at The Hamptons and so enjoyed Mr. George. He was..."
"I met George at the Hamptons assistant living home. 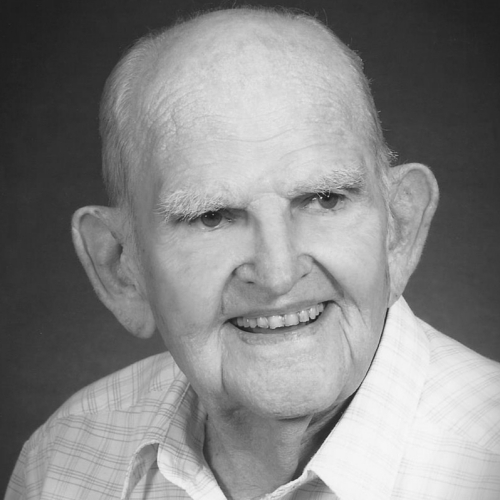 He..."
George Thomas Tyler, Junior, 98, of Tyler passed away on Wednesday, March 27, 2019 in Tyler. He was born on October 31, 1920 in Coalgate, Oklahoma to Molly Marie Hillger and George Thomas Tyler, Senior. In addition to his parents, George was preceded in death by his wife of 52 years, Ollie Lou Johnson-Tyler, 3 siblings, and 1 great-grandchild. He is survived by his son and daughter-in-law, Donald Lee and Darlene Blevins of New Chapel Hill; his daughter, Sandra Gaylene Carter of Shreveport; 4 grandchildren and their spouses, Anthony and DeeAnn Christian of Evansville, IN, Mark Christian of McAlester, OK, Justin Blevins of New Chapel Hill, and Stacey and Andy King of New Chapel Hill; 9 great-grandchildren and 4 great-great-grandchildren. 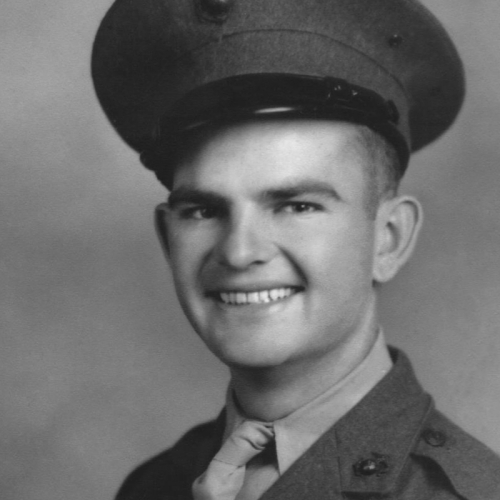 George is a WWII U. S. Marine Corps veteran who served from 1940-1946. He was honorably discharged as a Platoon Sergeant. George was an Independent Insurance Agent for 40 years and was a talented singer/musician. He is a member of Bethel Baptist Church of Tyler and previously an Elder at Trinity Fellowship Church of Tyler. He most recently resided at The Hamptons retirement/assisted living community. Services will be held on Saturday, April 6, 2019, at 2 PM, in the chapel at Jackson's Burks Walker Tippit Funeral Home. The service will be lead by Andy King, Bro. Mike Ford, and Bro. Mike Bloodsworth. Pallbearers will be members of the Rose City Marine Corps League Detachment 1354. Interment with military honors will follow at Cathedral in the Pines, Tyler. In lieu of flowers please consider sending memorials to Bethel Baptist Church, 13108 State Highway 64 E, Tyler, TX 75707.